Born 3rd May 1999 at the UKWCT, died 26th May 2011. 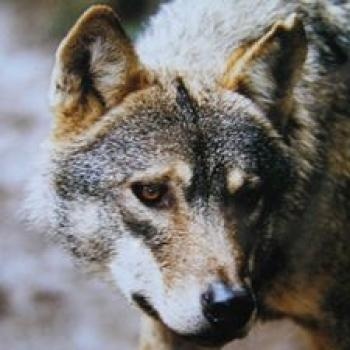 Latea was a wolf of two halves; one side was sweet, loving and playful. The other was a determined, driven wolf who would assert her authority over her sister without a second’s hesitation. 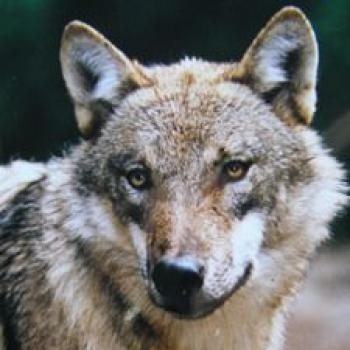 She may have been the smaller of the two European wolves but what she lacked in size she made up for in personality. With people she was lovely and affectionate, often chinning handlers (rubbing her face against you). Latea had a zest for life and even in the later part of her life she was full of energy. She was intense and focused in everything she did which isn’t always a good thing, but when she was relaxed and playful she was a joy to watch.